The indie landscape has never been more competitive, so it helps to wear many hats. Todd Berger has succeeded as a writer, director, and actor in movies and TV. 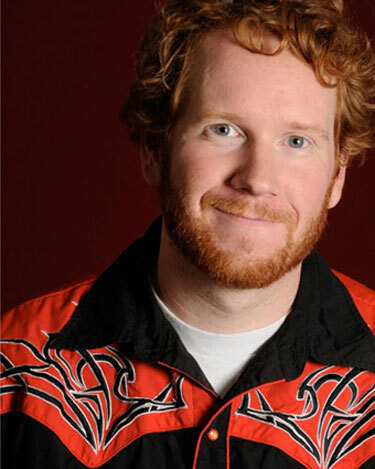 He's a founding member of the comedy group The Vacationeers and has appeared in Parks in Recreation, Southland Tales, and short films. His latest movie as a director is It’s a Disaster, an offbeat comedy about friends trapped in a house while a catastrophic event happens outside. It stars David Cross, Julia Stiles, and America Ferrera and offers an original take on the popular genre. Todd was kind enough to answer my questions about his new film and the state of film making today. 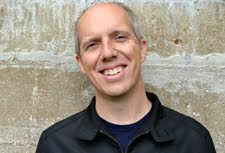 You should check out his site to learn more about Todd's prolific background. It’s a Disaster is a surprise 2013 gem and deserves more attention. How did the concept for It’s a Disaster originate? It all started when I read an article about the George Romero 1960s zombie movie Night of the Living Dead and how it was public domain because they forgot to renew the copyright. So you can do anything you want with the footage. I had this idea to shoot a bunch of new footage in black and white as an ode to Dead Men Don’t Wear Plaid, the old Steve Martin movie, and then insert it into Night of the Living Dead and make a new comedy about a bunch of friends that get together for a board game night in the 1960s where there’s a zombie attack. That was my plan, and then I watched Night of the Living Dead again. I realized how difficult that would be. I did not do that because it would be hard, but I still liked the idea of people stuck in a house together during something horrible. That’s when I came up with the idea of It’s a Disaster and having it be a Red Dawn-type invasion. This is your second feature with The Vacationeers after The Scenesters. How did the creative process work with them? How was this different from The Scenesters? My creative process with The Vacationeers ― Kevin Brennan, Blaise Miller, and Jeff Grace ― is that we’re all in a comedy group together. We used to perform live improv sketch shows here in Los Angeles. We were doing web videos, and we’d take turns writing. For The Scenesters, I went off and wrote a screenplay and then showed it to them. I asked them what did they think of doing it, and they read it and said “absolutely”. Kevin and Jeff were the producers, I wrote and directed, and Blaise is an actor. Everyone gives me notes and feedback on the scripts but they’re put in the roles of those positions and do a good job. The difference is that The Scenesters is a found footage film, so it’s shot much looser and documentary-style. It’s very guerrilla filmmaking; we went into a lot places where we didn’t have permits. We shot at actual live music shows. It’s a Disaster is very structured, thought out, and framed. It’s also in one location. The Scenesters was shot all over Los Angeles. It’s easier on one hand to shoot in one location, but it’s harder to find that location because we had to convince people to let us shoot in their house for three weeks. The story basically takes place in one location. How did you find the house? How long was the shoot? The shoot was 14 days, two five-day weeks and one four-day week. The house is the ninth character in the movie, so the house had to be perfect. We found it because we were actually location scouting a different house on the same block. We happened to notice a film crew outside of this house, and it turns out they were shooting The Walking Dead web series. We just walked up and asked “What are guys doing?” We went in and met the owner, and they were really cool. The Walking Dead web series was the first time they were letting anyone shoot in their house. That was just for two days. We asked “How would you feel about three weeks?” They were cool, and we were in the house from 7 a.m. to 7 p.m. We had a hard 7 p.m. out every day, and we only went over a couple days. It was pretty easy. 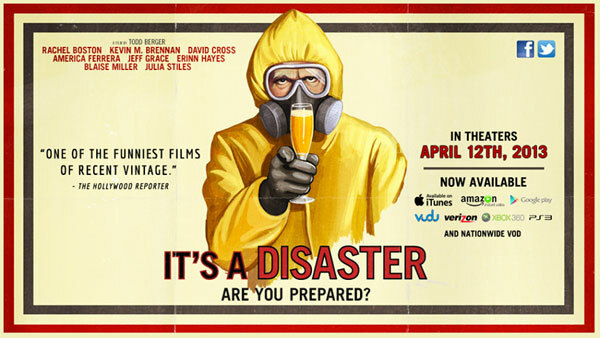 It’s a Disaster is a black comedy but it doesn’t feel far-fetched. Were you trying to balance the satire with realism? Absolutely. I modeled the comedy after the idea of normal people reacting incorrectly to a bad situation. I didn’t want it to be pratfalls and poop jokes. I wanted the comedy to come from how people are behaving and acting more than jokes. I told everyone to watch Manhattan Murder Mystery and Dr. Strangelove and movies that are more satirical than parodies. Manhattan Murder Mystery is a great example because it’s characters reacting completely inappropriately to a very dark situation. I feel that satire works better when it’s steeped in realism versus absurdity. With a few exceptions, disaster movies are bleak. What drew you to make a comedy? I feel like when genres become so ubiquitous, when there are enough of any kind of movie, we all get to understand the tropes. Once we all understand the tropes, we’re able to make fun of them. You know in a disaster movie that certain things are gonna happen. I decided to take the thing and make fun of it and have characters in the movie who have seen disaster movies. It drives me crazy to watch a movie where none of the characters have apparently ever seen a disaster movie. On The Walking Dead, no one has ever heard of a zombie. They’ve never used the word zombie. I just saw World War Z, and I was actually refreshed that they used the word zombie because people had actually seen zombie movies. What are some of your favorite disaster movies? When I was in high school, I remember seeing the trailer of Independence Day with the White House, the Empire State Building, and the Gas building in Los Angeles all blowing up, and I thought that was awesome. I remember seeing a making-of Independence Day, and the White House was a model. It wasn’t CG. It was a model that blew up, and I remember that being pretty sweet. I also like the throwback disaster movies from the ‘70s like Earthquake and The Towering Inferno. It was this kaleidoscope of the city of different kinds of people ― rich people and poor people from all walks of life reacting to a disaster. If a similar event happened, would you survive or be the first one to go? I’d like to think I would survive, but I also think I would be most like Shane’s character in the movie (Jeff Grace) who assumes the zombie invasion is coming. I would start looking for shotguns and motorcycles, and I would probably end up getting shot by somebody. David Cross rarely plays the straight man, yet it works. How did he get involved? David got involved because the Vacationeers had become friends with Julia Stiles a few years ago through a friend of a friend. We had made a couple funny web videos with her. When I wrote this script and we were getting ready to shoot it, I sent it to her. She read it and said “I love it and I’m on board, but I can’t shoot for six months because I’m doing a play. But I’m on board.” We had six months to see who else would be interested. We asked Julia who she wanted to work with, and she threw out America Ferrera’s name. She read it and loved it, and she suggested David Cross because she was friends with him. She gave it to David, and he read it that night. He really loved it. He was excited to play the straight man because he often doesn’t get to play the straight man. That was exciting for him. America Ferrara pretty much steals the movie. What was it like working with her? I do like her character a lot. Her character might be how I would react in real life. I would do a lot of drinking. She was great. She really wanted to know a lot about what her character would know. She played a chemistry teacher, so she wanted to know about chemistry, radiation, and chemical weapons. She had a binder of research that she had done about nuclear disasters and the reactions. She would call me at two in the morning and say “Todd, do you know that actually in the script you got something wrong because VX nerve gas would do this.” She was always super professional but super cool at the same time. Everybody was and had a great time. How has the landscape for making indie films changed with the rise of VOD? Is it becoming more difficult to fund a movie? I wouldn’t say it’s more difficult to fund a movie because of VOD. It’s better in a way for independent film because movies are getting released now. It used to be you either released in the theater or you weren’t released unless you sell the movie to film festivals. Now, you can put your own movie up on iTunes or Amazon VOD. You don’t even need distribution. It’s more difficult to fund a movie within the studio system. They’re making less and less independent films. The independent arms of the studios have all kind of closed up shop. There's always ways to find money to make a movie. The main reason it’s more difficult is because more people are making movies. Cameras are cheaper, people know how to write screenplays, and more people are going to film school. Every year, 22-year-olds are graduating from USC ready to make a movie. There’s a lot more people fighting over what little money there might be out there. There has been plenty of talk lately about drastic adjustments that are coming to the distribution model. Where do you see it going? I don’t know. I kind of agree with Lucas and Spielberg who could see it going the Broadway model where certain movies cost more than others. I could see that happening. I remember reading when I was in high school about how movies are one of the few commodities that the budget of the product doesn’t affect the cost of the product. Whether you go see a million-dollar indie or a $500 million studio movie, you’re still paying the same amount of money. 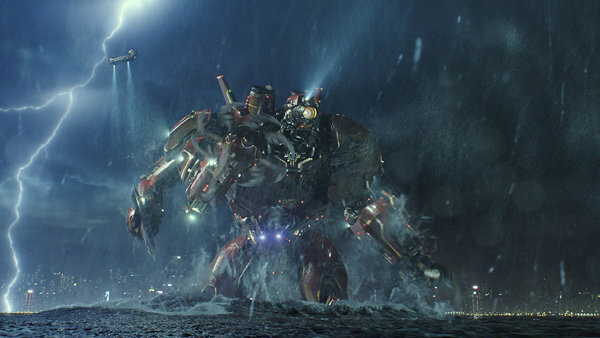 I could totally see a world in which it costs $25 to see Pacific Rim but it costs $8 to see Before Midnight. Maybe that’s good, maybe that’s bad. I don’t know. Movies are already getting ridiculous. I saw Pacific Rim in a theater in Pasadena, California and it cost me $29. 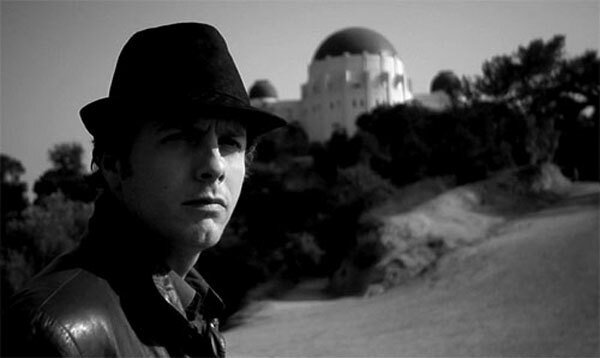 Your acting career includes a part in Richard Kelly’s Southland Tales. What was it like to work on that notorious film? Working on the film was really fun. I was friends with Richard, and he had asked me to come by the set and be in a scene. I thought it would just be as an extra. He said “You’re in the movie. You’re in three or four scenes. You’re gonna do a scene with Cheri Oteri, Sean William Scott, and Amy Poehler.” I had to learn how to roller blade. I had to go out in the parking lot behind the Toys ‘R’ Us in Loz Feliz and learn how to roller blade. It was interesting because a lot people working on the film didn’t really know what the film was about. There was a lot of discussion of “Do you know what’s going on this movie?” Some people had it figured out and other people didn’t, and that was fun. I’m working on a bunch of scripts, from very very low budget to middle budget. I won’t say big budget. I’m not really talking about the plots. As we learned this year, the moment you make an apocalypse comedy, there’s five of them. I’m not even talking about what these next scripts are about. I’m working on those. It’s on my bucket list to write a novel, so I’m working on that. I have a couple of writing jobs that I’m doing right now. Notes: You can check out all of Todd's work on his official site. It's a Disaster is available on DVD and through VOD services like Amazon and iTunes. You can also learn more information on its Facebook site. Thanks again to Todd for the great interview! Just watched 'It's A Disaster' (loved it) and found this interview. Very nice! Nice! Glad you enjoyed it, Shane. Todd was a really good sport and gave some great answers.